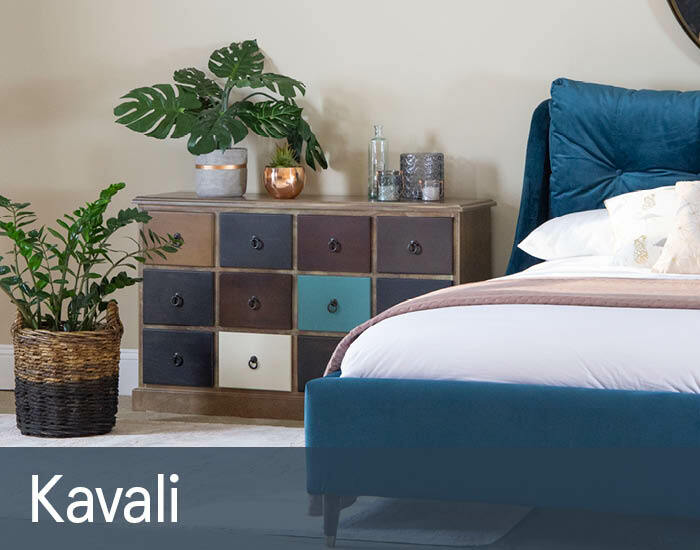 Kavali is a fashionable collection of rustic occasional furniture with a definite contemporary twist. Each piece is carefully crafted from solid pine with a slightly distressed finish to give it its own unique character. Aged black metal ring handles add a vintage vibe. Every item offers practical storage and space-saving solutions, whilst their quirky painted drawer fronts will bring style and personality to any living space – modern or traditional.